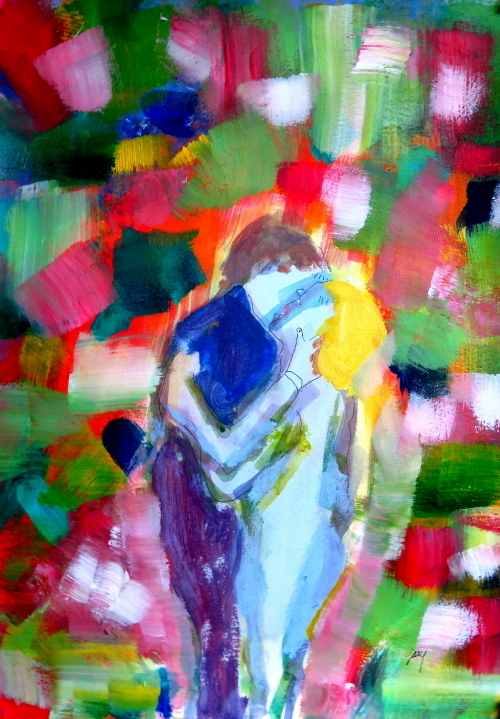 A Fauvish and expressionistic piece about the close relationship between the women. The visual weight of the red hair flows into the complements of yellow and blue, grounding the composition. Free flowing strokes and strong colors. Tagged acrylic portrait, expressionism, fauvism, painted portraits, portraits. Bookmark the permalink.